With generational ties to the land and a degree in Animal science, Tim has lived and breathed agribusiness for all of his working life. 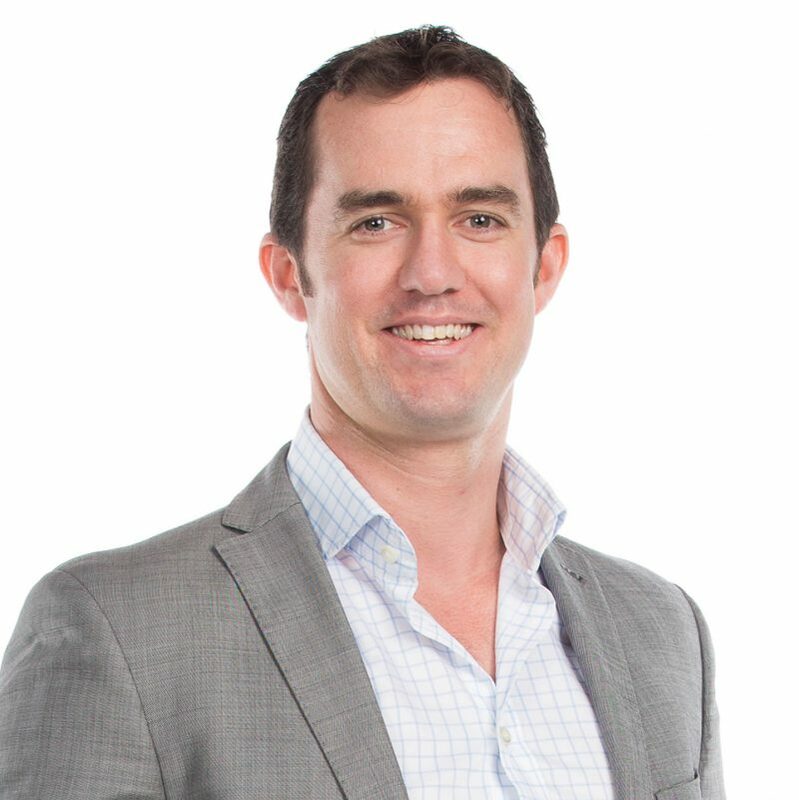 Tim has been instrumental in establishing BOQ’s agribusiness team, with a focus on larger, higher quality transactions. In this role Tim has also been responsible for managing BOQ’s funding relationship with StockCo’s Australian business. Tim’s now been appointed as Stockco’s Chief Operating Officer, to continue the growth of Stockco’s business in Australia with specialist focus on enhancing specific distribution channels and targeting new business in the corporate sector. Welcome to the team Tim! You’ve had a successful career in agribusiness, how did you get there and what have been some of the highlights? My passion for rural Australia is a long-dated affair and thanks to my mother’s side of the family who owned sheep stations in far western Queensland. This passion lead me into a University degree at UQ Gatton studying Animal Science. When social and rugby commitments allowed it, my focus at Uni was the study of animal production systems, pastures and rangelands. During uni, I’d been working part time for a rural merchandiser in Toowoomba who was affiliated with Landmark. Unsure where I was headed after completing my degree they offered me a full-time gig, so I ran with it. It was here I first crossed paths with StockCo’s CEO Richard Brimblecombe who at the time was working for Landmark. I moved across to work directly for Landmark and was lucky to experience some great opportunities travelling right across north and western QLD. I moved into the rural finance division at Landmark. I had found myself doing something I truly enjoyed and was very passionate about – banking farmers and graziers to achieve their financial, business and personal goals. As the GFC unfolded, I followed Richard across to CBA and relocated to Roma. Banking has moved me around a lot, and given me the opportunity to meet some fantastic people and business operators. This would have to be a highlight for me. It was on one of these moves where I met my wife – better make that a highlight! I think a large part of any success has been driven by the people I have been fortunate enough to work with. I’ve had great mentors, colleagues and friends that have supported me through what has been both challenging and rewarding times thus far! What role do you see StockCo playing in the agri-finance sector? StockCo has one purpose – strategic finance solutions for sheep and cattle producers and therefore has a deep understanding of these sectors and their markets. It is with this understanding that StockCo operates in a different manner to traditional financiers or mainstream banks. StockCo becomes an enabler. This positions StockCo well as the changing tide in capital markets develops. It is becoming more and more prevalent, documented and discussed that the agrifinance sector, and banking in general, is set for change. Ownership models, farming practices, seasonal challenges and technology are forcing people to think differently about how they finance their businesses. Next generation farmers are proving to be highly productive and successful but often light on capital. StockCo can really assist in this market. As an agribanker, I have witnessed first-hand instances where StockCo has enabled a grazier to expand their operations by buying the neighbouring property, directing all available capital to the acquisition and/or development, and then utilising StockCo to ramp up livestock numbers immediately to a capacity that creates profitability. We are witnessing more instances of farmers and graziers choosing to lease instead of own land. A trading bank will then typically struggle to finance these operators working capital or trading accounts. StockCo is a perfect solution in these instances where the grazier is a proven operator. In the corporate market, StockCo offers a unique off-balance-sheet source of capital that allows a business that is rationing internal sources of capital, to access the capital it needs to fund development or expansion programs on terms that match the business requirements. What prompted you to make the move from a senior role in one of Australia’s regional banks to StockCo? This was both a very difficult, but very easy decision for me….. and I’ll try and explain that complete contradiction! BOQ was a fantastic place to work, with great people, and I had been pivotal in the creation of their Agribusiness division over the last 5 years. BOQ has a similar ethos to StockCo in that they are all about their customer. The customer is at the centre of everything you do. It was an exciting and rewarding place which made leaving difficult. However, it is through BOQ that I was introduced to StockCo as BOQ have a wholesale funding facility with StockCo. So I have a very deep insight into every aspect of StockCo and this made the decision easy. The points I made earlier around StockCo’s sole purpose being cattle and sheep makes it a very niche and nimble operator. Whilst StockCo has robust systems, procedures and policies, it is a business that is not distracted by a myriad of complex business units, systems, products, compliance and regulation. It really is a very focused business. It truly aims at exceeding the expectations of their clients and I am continually surprised at the depth of knowledge and understanding StockCo has of the livestock industry and how this is then applied to assisting livestock producers. As a throwaway comment, I am also excited about the data associated with the Australian Livestock market that StockCo is capturing as part of their standard operations. As this data pool continues to grow, it has the potential to help both StockCo and other industry bodies refine products and processes to benefit numerous industry participants. What do hope to achieve in your role as Chief Operating Officer for StockCo? As COO, I have been tasked to assist the executive team, and in particular, Richard as Australian CEO, to keep growing the Australian business. I will be predominantly focused on enhancing a few specific distribution channels and targeting new business in the corporate sector. My role will also focus on assisting the executive team identify strategic opportunities, product enhancement, new productive development and contributing to the funding strategy and funder relationships. StockCo is a dynamic business run by dynamic people. It will be all hands-on-deck and I am absolutely certain there will be no dull moments! Personally, I’d like to be able to look back in 5 years’ time and know I’ve been a pivotal part in building a business that is the leader in its field of Livestock Finance across Australia and New Zealand. StockCo has a rather unique approach to distribution of its products and services. Tell us about StockCo’s approach and the rationale behind it. StockCo definitely is unique in distribution, which is a large contributor to its success. We enjoy a very strong relationship with our key distribution partners Elders and Ruralco, who provide StockCo with access to some 800 locations right across regional Australia. Having worked both in banking and in rural agency, I can attest to the very entrenched relationship a grazier has with livestock agent. StockCo’s product sits very firmly in the toolkit of the livestock managers and agri-finance managers who work for Elders and Ruralco. StockCo also enjoys formal distribution agreements with other key large successful private agencies and independent service providers, with an important provider being Sprout Ag. These firms are preferred by StockCo as they share the ethos of the client being at the centre of everything we collectively do. By aligning ourselves with similar firms, we mutually benefit – their clients receive the market leading StockCo product and StockCo gains access to their network of clients. In leveraging these networks via these established distribution partners, StockCo can access a broad network of skilled and knowledgeable relationship managers on the ground whilst continuing to reinvest in our systems, products and infrastructure to maintain our position as market leader in our field. It would be impossible for StockCo to replicate or achieve such a reach without this alignment.